Lose yourself in the tropical ambiance of The Park at Chelsea Apartment Homes, the premier apartments in Hudson, Florida. Located an hour outside of Tampa, Florida, The Park at Chelsea Apartment Homes is the perfect getaway from big city life. Once you see the way the majestic palm trees hit that crystal blue sky, you will feel right at home. And if that isn’t enough to wow and amaze, our lush greenery will serve as the sweet cherry on top. Residents can indulge in many high-end features such as our designer clubhouse, state-of-the-art fitness center, or sparkling swimming pool. Best of all, your apartment is the epitome of style with amenities such as beautiful plantation blinds, two-toned interiors, European faucets, and creative backsplashes. With stylish interiors, upscale amenities, and a resort-style atmosphere, you couldn’t ask for better apartment living. 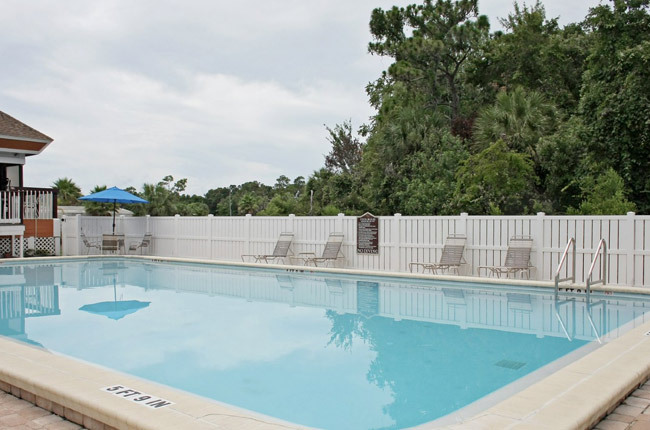 Located on Spyglass Terrace, The Park at Chelsea Apartment Homes boasts a convenient location in Hudson, Florida. We are mere miles from Hudson Beach where you and your family can enjoy the hot, white sand between your toes, the smooth sound of the waves as they roll onto the shore, and the many waterfront activities at your disposal. If you prefer indoor recreation, take a fifteen-minute drive to Gulf View Square Mall. There, you will find stores such as Best Buy, T.J. Maxx, World of Décor, Dillard’s, and Sears. Hungry after a day at the beach or shopping? A number of delectable restaurants populate the area. You’ll find everything from Chinese to Italian. Last, but certainly not least, nearby Regal Cinemas Hollywood 18 will please your inner film buff. Whether you’re indoors or outdoors, we know you will enjoy your time at The Park at Chelsea Apartment Homes and the surrounding areas.